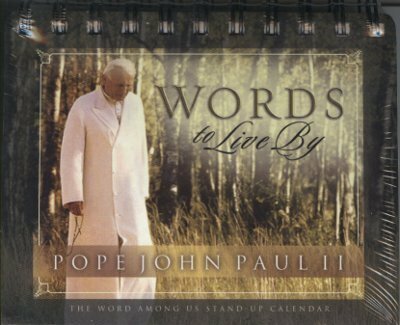 Pope John Paul II wrote and spoke more than any pope in the history of the church. In his encyclicals and pastoral letters, as well as the homilies and speeches heard by millions across the globe, he tirelessly proclaimed the truth of God's love and the dignity of every human person. In this calendar you'll find words of inspiration for every day of the year. Designed to be used year after year.